If you're like most marketers who are doing well with content publishing and promotion efforts, your strategy probably includes things like reaching out to industry influencers, guest blogging and maybe even a little social post boosting. There are many different meanings and names for content promotion, but the simplified version is this: content promotion is the act of sharing and distributing your content with new and existing audiences through various – including paid – marketing channels. Examples of typical content promotion include the three strategies listed above, plus strategies like email distribution, online community promotion (think Quora or Inbound.org) and much more. Will Content Promotion Continue To Be So Valuable? Content promotion has clearly been a vehicle for success over the last several years. But, will content promotion – which could be considered today's version of outbound marketing – remain an important and valuable part of the content marketing process? Although the answer to that question is most likely yes, it's difficult to predict what role content promotion will play for marketers in the next 1...5...10 years and beyond. One thing is clear though: Marketers are still considering it a priority in 2017. According to HubSpot's State of Inbound 2016 "content distribution and amplification" was the third highest priority for marketers when it came to inbound marketing. Question to marketers: Thinking specifically about inbound marketing projects, what are your company's top priorities? It's hard to say exactly how content promotion will change over the next few years. One thing we do know about the future of content is that it will be impacted in some way – or, more likely, in many ways – by bots. In fact, the introduction of bots is already having an impact on content in many ways. You know plenty of people who use bots like Apple's Siri, Google's Alexa and Amazon's Echo. Most likely, you are one of those people. These are bots that have been around for a while now and while their usage may not be completely pervasive, it's getting there. What impact are these bots having on content consumption? One of the main changes occurring thanks to bots like these is the verbiage submitted during online (and offline) searches. That's because people speak differently than the way they type or write. This slight change in searches can have a significant impact on the results that are retrieved. The way voice search results gets delivered is even more important. Instead of presenting a list of options on a page, with many being advertisements, users get a "verbal" response from their personal assistant bot. In some cases it's a direct and complete answer, in other cases it's an incomplete answer that may require more effort and in other instances the bot may engage in conversation in order to better deliver an answer. How does this impact content promotion? One of the most recent SEO trends is the race for "position zero" – this means earning the featured snippet for a particular search term or question. It's a big deal because doing so will establish you as the verbal answer for those particular voice requests. How does it impact content promotion? One way this changes content promotion is through paid advertising. The paid ads above organic search terms are not verbalized by personal assistant bots when performing voice searches. That means whatever percentage of people choose voice searches instead of text, your advertisements will not be shown to them. Even further, you could rank #1 for a search term and not be placed as the featured snippet, which means despite Google ranking you as most relevant in the SERPs, you are not the most appropriate answer for voice searches. 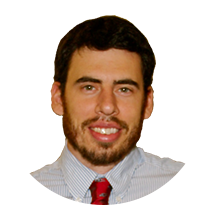 The race to position zero adds even more emphasis on becoming a highly referenced resource. Link-building is already one of the top goals of today's content promotion efforts, and this will remain true as marketers fight for the most valuable featured snippets. The estimated 30,000 Facebook Messenger bots being used around the world are starting to cause a major shift in the way customers, or followers, engage with brands. Brands using Facebook Messenger bots makes it possible and easy for users to accomplish more within the Facebook Messenger app – including making payments. This has led to an increase in Messenger app usage as the app's functionality expands. 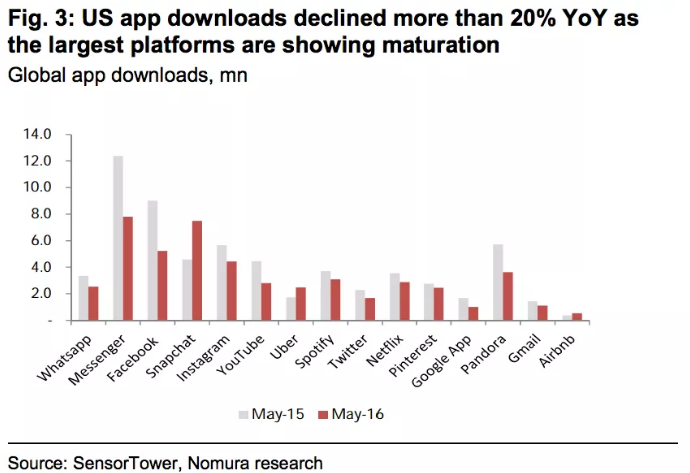 It's noteworthy to compare that to the decline in total app downloads over the past year or more. The takeaway here is that users can now interact with their favorite brands through one single platform (Facebook Messenger), making it less valuable to have multiple brand-specific apps on their phones. There are many content promotion strategies that are effective today. But how will these approaches be impacted by the age of bots, or will they be affected at all? Here are a few of the top content promotion strategies today and how each one will likely be impacted as bots become more pervasive. This is a common approach for content marketers to use. The goal here is to leverage the audiences of industry leaders and influencers to get more exposure for your content. These influencer audiences are typically email subscribers or social media followers. The leverage of influencers will likely continue in a similar form, particularly for bots like those being created for Facebook Messenger. Influencers will still be leveraging their social followers and may arguably have more access through Messenger. Since Messenger is a more guarded channel, it will likely be more difficult to pitch influencers on collaborative content because there will be more pressure to deliver real value with less fluff. So, if you want to leverage an influencer in your industry, be sure that what you're sharing really speaks to their audience and supports their (and your) goals. A large, high-quality email list is like the golden ticket when it comes to content marketing. That's because email addresses give you direct access to your audience, sometimes even mixed in with their personal emails. The same will likely go for Facebook Messenger via content broadcasts. It will likely work in a similar fashion and with Messenger you'll also benefit from the lowered defense of a personal account – likely even more so than email. With that said, it will also probably become easier for recipients to cut you off, so it will be even more important to make your content relevant and useful. The key to leveraging contact lists going forward: SEGMENTATION. Really, you should already be segmenting your contacts in order to deliver the most relevant content at the right times. But, in many cases, it doesn't happen. Segmentation will allow you to make sure you check these boxes when delivering content to your audience. Leveraging syndicated content is an incredibly effective way to get more exposure and improve brand recognition, grow industry authority, etc. This will likely not change as we'll see media companies leveraging bots to deliver news and entertainment to followers. The Washington Post, for instance, has developed a bot for Facebook Messenger that will provide on-demand access to their content and they plan to add personalized content in the near future. 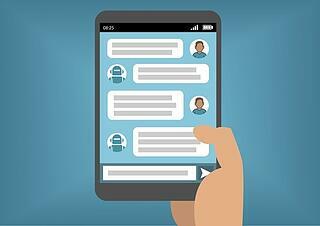 Additionally, The Washington Post announced that they plan to release a second bot that will engage with users via the text messaging service, SMS. As media companies – especially smaller, more niche-specific media companies – start adding bots for their followers, there will remain some value in content syndication. But, it will be increasingly important to focus on your specific niche to ensure that your content gets exposure. The important thing to remember as bots become more popular is that this is yet another step toward decreasing the effort it takes for people to get exactly the information they want, when they want it. The better job you can do at being the best resource for what people are asking for in your industry, the more successful you'll be, whether it's arriving via chatbot or newspaper. The key to ensuring you are that resource for your audience is focusing on optimizing your segmentation. That means both segmenting internal contacts (e.g. emails, social media), and segmenting external content promotion (e.g. content syndication, paid advertising). That will increase your ability to reach the right people at the right time. Otherwise, you'll never make it as the number one resource and as Ricky Bobby says, "If you ain't first, you're last."